Dr. Kladias was born and raised in the Lehigh Valley and graduated with highest honors from Liberty High School. She received her Bachelor of Arts in Biology with honors from Lehigh University, where she was inducted into Omicron Delta Kappa national leadership honorary society, and "Who's Who Among Students in American Universities and Colleges". She earned her Doctorate in Dental Medicine from the University of Pennsylvania School of Dental Medicine in 1989. Dr. Kladias has been in private practice since 1990, following the completion of the General Practice Residency Program at The Allentown Hospital-Lehigh Valley Hospital Center, where she gained experience caring for medically and physically compromised individuals of all ages. She also was Director of the General Practice Residency Program at Sacred Heart Hospital from 1993-1996, where she was selected as Teacher of the Year in 1996. In order to maintain the highest quality of care possible, Dr. Kladias is committed to regularly attending continuing education courses taught by leaders in the profession. In 1997, she received the Academy of General Dentistry's prestigious Fellowship Award, after completing more than 500 hours of continuing education within ten years and passing a rigorous Fellowship examination. Dr. Kladias was an active member of the Department of Dental Medicine of Lehigh Valley Health Network (LVHN) from 1990 -2013 and volunteered teaching and supervising the dental residents. She also served as Chair of the Department of Dental Medicine at LVHN from 2001-2008, where she provided leadership for the "Miles of Smiles" Dental Van initiative. In 2007, she was honored with the Medical Staff Team Builder Award. 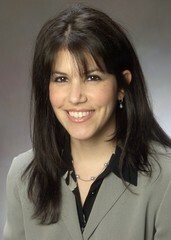 She also completed LVHN's two-year Institute for Physician Leadershp Program in 2008. Dr. Kladias is a member of the American Dental Association, Pennsylvania Dental Association, the Lehigh Valley Dental Society, and the American Academy for Oral Systemic Health.